Oh, this is the worst looking shirt I ever saw. When you buy a shirt like this I bet you get a free bowl of soup! Oh, but it looks good on you though. 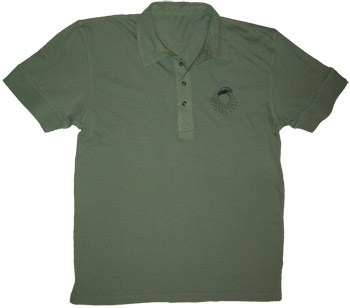 Limited edition artwork printed by hand with distressed ink on a dillweed colored 100% cotton polo.